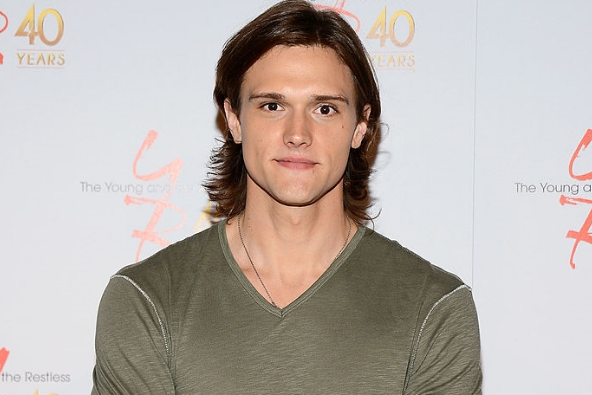 If you were hoping to see Ralph Dibny on The CW drama The Flash, it turns out that isn't such a stretch! Former The Young and the Restless actor Hartley Sawyer will be stepping into the recurring role of Dibny, better known as the Elongated Man, next season on the hit #DCTV series. Described as one of the Flash's most iconic allies, Ralph Dibny - a.k.a. The Elongated Man - is a fast-talking private investigator with investigative skills that rival those of Batman. Upon discovering he has the power to stretch his body to any shape or form, Dibny uses his new abilities to help Team Flash solve one of Central City's greatest mysteries. In the comics, Dibny developed as a private eye after he struck out on his own, but it's fitting that he's making his live action debut on The Flash. The character first debuted in 1960's The Flash #112, where he became a supporting character in the comic before later appearing in Detective Comics and eventually joining the big league as a member of the JLA. He also played a key role (along with his wife, Sue Dibny) in 2004's impactful Identity Crisis. The Elongated Man's abilities are all in his name - he can alter and contort the shape of his body to make it longer, larger, flatter, or just about any other shape imaginable. Combine that with his brilliant detective skills and he's likely to become a powerful new ally to the Scarlet Speedster. Sawyer played Kyle Abbott (Jack's son) on The Young and the Restless, and you may have seen him on the CW Seed's Saving the Human Race or Anna Akana's Miss 2059.